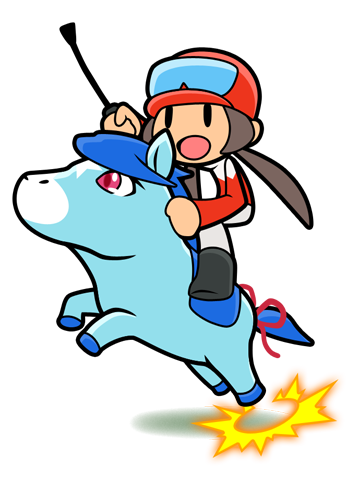 How on earth could I name Game Freak's Pocket Card Jockey my favorite game of the year? It was a pretty easy decision to make, actually. After all, I played this 3DS eShop game more than I played any other in 2016. Just as importantly, I enjoyed playing it more than I enjoyed playing any other game over the last 12 months. As for what prompted me to play and enjoy Pocket Card Jockey so much in that time, that's not so easy to explain. Why? A lot of praiseworthy components are packed into the game, so summarizing them requires more than a quippy sentence or two. Still, I should be able to do it in a handful of paragraphs. For starters, the best thing about Pocket Card Jockey--and the aspect that caused me to devote more than 60 hours to it in 2016 (and put just as many hours into the Japanese version, Solitiba, in 2015)--is its addictive nature. Meaning, of course, it's one of those games--like, say, Tetris or solitaire or mahjong--that you pick up when you have a few free minutes, and before you know it you've sunk an hour or two (or more) into it. Another reason this title is so marvelously compelling: its soundtrack. I fully understand if you assumed a digital 3DS game filled with cards and thoroughbreds would feature subpar music, but that's far from the reality of the situation. You can thank composer Go Ichinose (of Pokémon fame) for that. The jazzy, catchy tunes he created for Pocket Card Jockey not only get you in the mood to play as long as your eyes--or, in my case, your husband--will allow, but they also worm their way into your brain to the point you'll likely find yourself humming them at the most random times. Does Pocket Card Jockey look great, and is that also partially responsible for why I'm declaring it to be my favorite game of 2016? Obviously. The same can be said of its controls, by the way, which work well and put the 3DS' many input methods to good use. At the end of the day, though, it's how developer Game Freak deftly combined all of the above-mentioned elements that made me choose Pocket Card Jockey as my favorite game released this year. Everything meshes so well you revel in the overall experience while playing it rather than obsess about--or even notice--individual components like graphics and music. With all that out of the way, do yourself a favor and grab your 3DS, buy this game from the eShop (current price: $6.99--believe me, it's worth every penny) and give it a whirl. Oh, and read through my Pocket Card Jockey guide if you want to fill your trophy case.